POLLY HIGGINS, a barrister and international environmental lawyer, proposed to the United Nations in April 2010 that Ecocide be classed as the 5th Crime Against Peace. Earth is our Business expands on the proposal in Polly Higgins’ first book, Eradicating Ecocide, to make Ecocide an international crime. This book proposes new Earth Law, setting out an institutional framework for sustainable development and international environmental governance. The new rules of the game offer substantial benefits to the companies that find the renewable solutions the world needs. But it is also about something more than law. It advocates a new form of leadership which places the health and well-being of people and planet first. 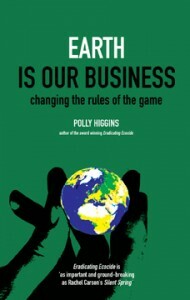 Polly Higgins shows how law can provide the tools and be a bridge to a new, Earth centred way of doing business. Like her award-winning first book, Earth is our Business is written for anyone who is engaging in the new and emerging discourse about the future of our planet. Instead of examining the problem, Earth is our Business sets out a solution: new rules of the game. They are a new set of laws based on the sacredness of all life. Included as appendices are a draft Ecocide Act, a proposal for revising World Bank investment rules, and the indictment used in the mock Ecocide Trial held in the UK Supreme Court in September 2011. 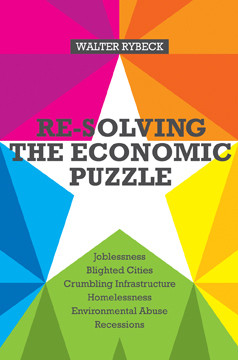 Eradicating Ecocide was voted winner of The People’s Book Prize for non-fiction in 2011.